One of my favorite things to do is plan a party. I love finding a “theme” and finding ways to decorate according to that theme. 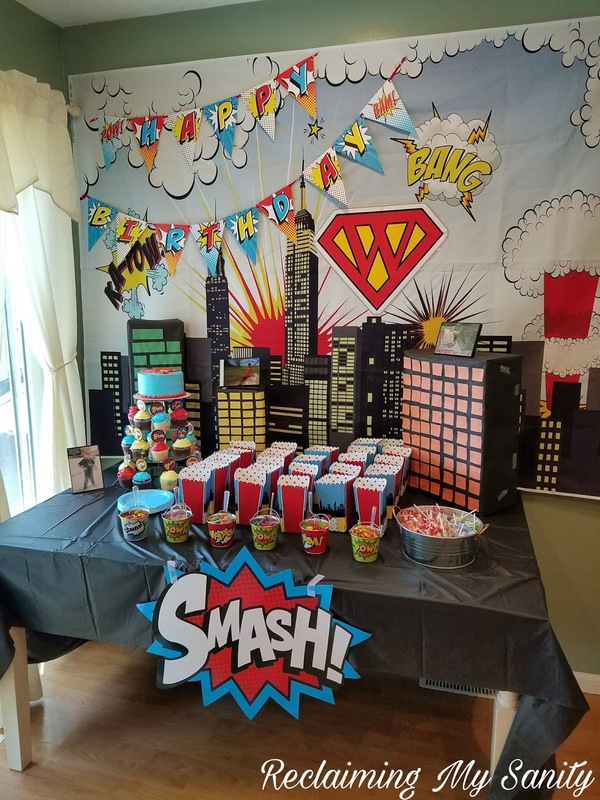 I tend to try and “go all out” for my son’s birthday every year. For his first birthday we did a fun in the sun theme. For his second birthday we did an under the sea theme. For his third birthday we did a pirate theme. So, of course for his fourth birthday we had to do something awesome! Originally he wanted to have a Transformers Rescue Bots birthday. However, at the time it was not as popular as it is now and we could not find anything remotely close to the rescue bots line. There was a ton of stuff for Transformers (like the movies). So then he had decided he wanted to have a Batman and Villains party. However, of course, not many things can be found for strictly just villains. 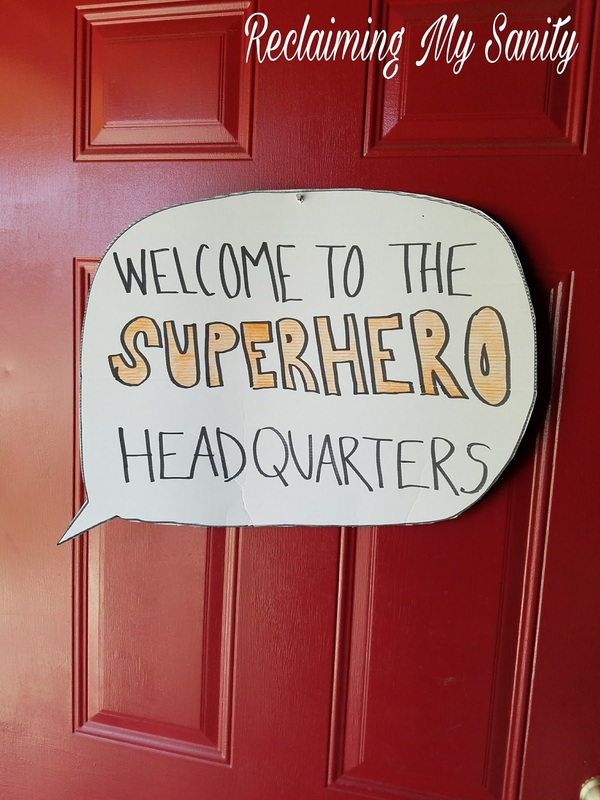 So I ended up going with an all over Superhero party that turned into a comic book themed party. 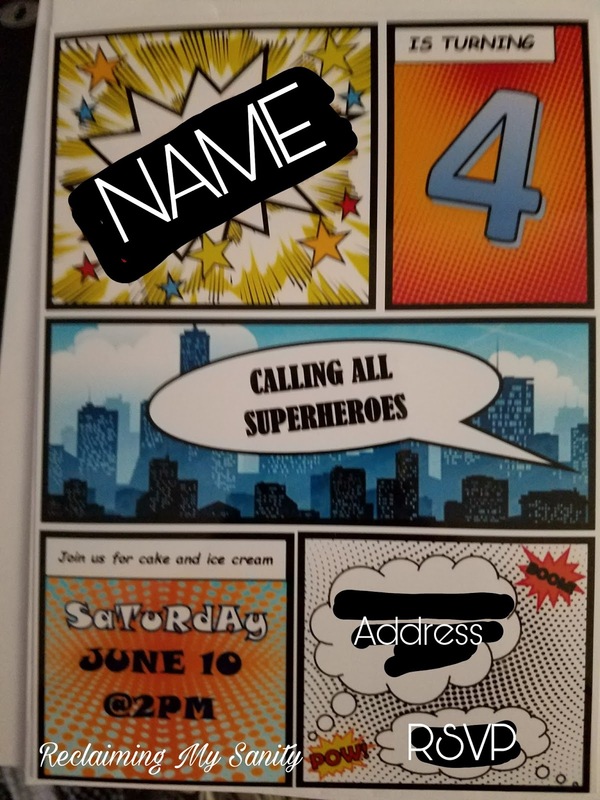 The invitations were actually pretty easy to do. Once I had what I wanted finished, I saved it to my computer and then went to good ol’ trusty Google.com to find a converter website. A converter website will take a Word Document and turn it into either a PDF or JPEG file so that it can be uploaded as a picture instead of a document. I did the conversion and then saved that file to the computer. I then was able to upload that picture to Walmart’s photo site and have them print copies of the invitation and mail them to the store (it was the free shipping option). It took about a week for them to arrive and they looked great! When I am planning a party I start well in advance. I start brainstorming ideas probably about 8 months in advance, just to see what is out there and get ideas. Around 6 months before hand I start getting more set in what theme we are going for so that I can look for deals on decorations. I find that Amazon is a great source for party goods. You can find practically anything you are looking for on there, especially the more unique themes. I look on Amazon to get an idea of how much it is going to cost me to get the things that I want as I like to maintain a budget. The first thing that I found was the backdrop for the table setting. It “technically” is a background that is used by photographers, but a few thumbtacks later, it made for a nice wall mural. I found the banner, popcorn containers, tin buckets, cupcake toppers, and word signs on Amazon. We did a popcorn bar. I had kettle corn, butter popcorn, and plain popcorn in the containers and people could choose which kind they wanted. I then put different types of candy in the little tin buckets (MnM’s, skittles, goldfish, Mike and Ike’s, sour patch kids, and Reese’s pieces) with little scoops for people to use. The table cloth was the $1 black table cloth from Walmart. I also wanted to create a more dramatic table by adding more of a 3-D feel to it. So I took some of the boxes that I got from the Amazon orders and wrapped them in black paper, cut out different colored construction paper, and glued them onto the boxes to make them look like buildings. I put pictures of my son in his custom made superhero cape that we took in dollar frames on top of the buildings. Then just for fun I added a little dish of smarties and dumdum suckers. On the wall you can see there is a “W” sign. 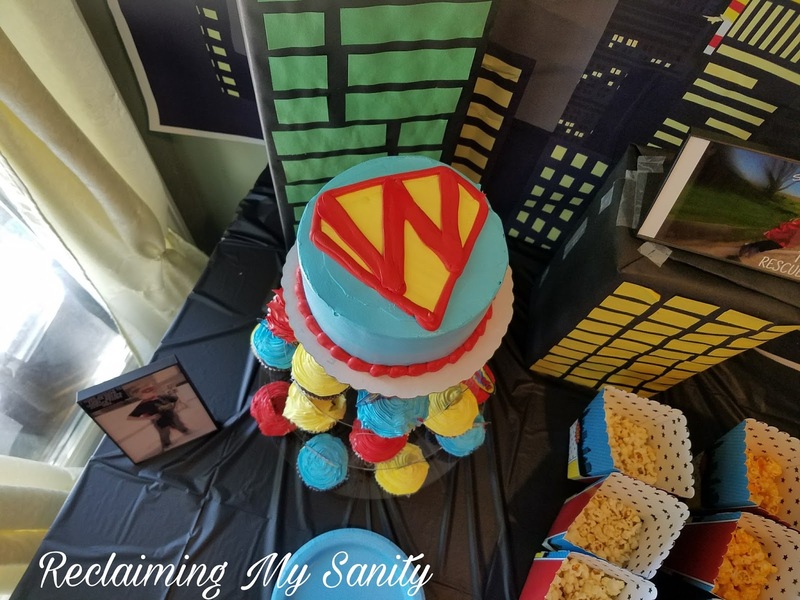 I wanted this to be more like my son was his own superhero. Like being yourself is as cool as wanting to be a superhero. So I found the W on Google and had it blown up and Laminated at Office Depot for about $15 with a coupon. He now has that sign in his room. For the cupcakes, I did light blue, yellow, and red colored frosting (whip cream) from Walmart (custom ordered) and put the toothpick toppers in them myself as they will not do it. I then ordered a two layer smash cake. I told the cake lady that I wanted it to be like the Superman logo except with my son’s initial “W” instead of an “S”. She was talking about copyrights and stuff, but she said it should be fine. Now, I knew I should have called and talked to the lady that has done our cakes before because when the lady took our order she did not write anything specific down. I kept telling myself I should call and verify that they knew what I wanted. I decided to give them a chance, knowing that they would fix it if it was wrong. It wound up coming out all wrong, but luckily the lady that has done our previous cakes was there and was able to fix it very quickly. Now, I don’t know about anyone else, but if I could I would have my entire house to the theme of every party. However, that would get very expensive and probably unnecessary so I stick to the kitchen where the table is, the walls of the living room, and the front door. In the package of the jumbo word signs that I got from Amazon there was a big piece of cardboard that happened to be white on one side. So I made a little call out sign and cut it out to hang on the door. We then used the rest of the jumbo words on the living room walls just to add to the theme. I did put one above our shoe bench to use as a gift area. 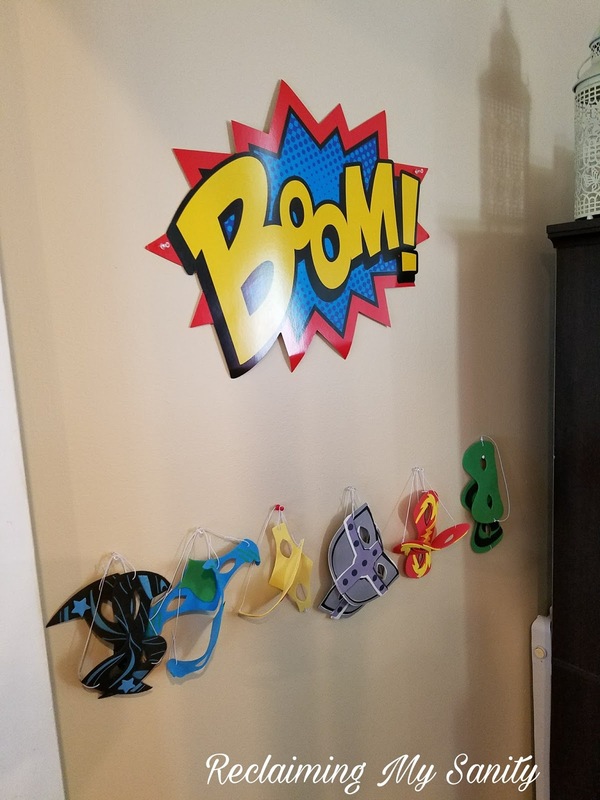 I also used one above our superhero mask area. I wound up finding a package of masks on Amazon and just hung them up with thumbtacks so that people could grab them if they wanted to wear them. For the kids party favors I wound up getting the youngest boys custom made superhero capes with their first name initial on it from http://www.everfan.com. I also bought tattoos, bouncy balls, balloon punch balls, stamps, and lego comic books from Amazon to put in their bags. As well as some candy. This is by far my favorite theme of birthday’s we have done for Pickle so far. Of course, now I have already begun planning little miss Poppy’s FIRST birthday which will be happening in about 6 months already! WHERE DOES TIME GO? Also, just for fun I did find a comic book theme “happy birthday” wrapping paper which I wrapped his gifts in. All in all, it was a great day and he had a lot of fun. I wonder what he will request next year…hmm..